NEW YORK (Reuters) – U.S. President Donald Trump’s former lawyer, Michael Cohen, reached a deal with federal prosecutors in New York on Tuesday to plead guilty to campaign finance violations, bank fraud and tax evasion, news media outlets reported, citing unnamed sources. The plea bargain includes a possible prison sentence of three to five years, Fox News said, citing an unnamed source. Cohen, 51, appeared in federal court in Manhattan at about 4 p.m. EDT (1600 GMT), accompanied by his attorney, Guy Petrillo. Earlier in the day, Cohen surrendered to the FBI, CNN reported. The plea bargain could increase legal risks for the president, as it raises the possibility that Cohen will provide information to U.S. Special Counsel Robert Mueller in his investigation into Russian meddling in the 2016 election and possible coordination with the Trump campaign. However, CNN and the New York Times said the deal did not include cooperation with federal authorities. In another case involving a former Trump associate, his former campaign chairman, Paul Manafort, awaited the outcome of his trial in Alexandria, Virginia, on 18 counts of financial crimes resulting from the Mueller probe. The jury in that case was in its fourth day of deliberations on Tuesday. Trump has repeatedly denied any collusion and has called the Mueller investigation a witch hunt. Russia has denied meddling in the election. U.S. intelligence agencies have concluded Moscow interfered. Cohen was one of Trump’s closest associates for more than a decade. He worked as his personal attorney at the Trump Organization and continued to advise the president after the election. But their relationship had frayed in recent months. Cohen agreed to the plea to save millions of dollars, protect his family and limit his exposure, Politico said, quoting an unnamed source. One sticking point in the plea deal negotiations was Cohen’s potential prison term, CNN said, quoting an unnamed source. Cohen had been pressing for a three-year term, while prosecutors had been seeking up to 50 months, the network said. Lanny Davis, a lawyer for Cohen, declined to comment. Cohen and another of his lawyers, Guy Petrillo, did not immediately respond to requests for comment on the earlier reports. The probe is being led by the office of U.S. Attorney Geoffrey Berman in Manhattan. A spokesman did not immediately respond to requests for comment. Federal agents had seized documents and files from Cohen in April that stemmed from a referral from Mueller’s office. 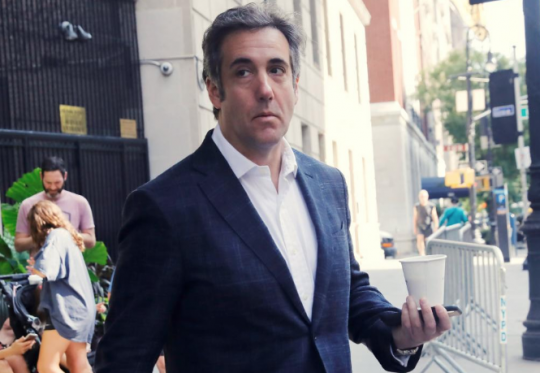 Cohen once said he would "take a bullet" for Trump, but their relationship has deteriorated since the April FBI raid on Cohen’s office, hotel room and home. The New York Times reported on Sunday that federal prosecutors were focused on more than $20 million in loans obtained by Cohen from taxi businesses owned by him and his family. The loans are part of the investigation into whether Cohen committed bank and tax fraud, and for possible campaign law violations linked to a $130,000 payment to adult film star Stormy Daniels. Cohen first attracted national attention when Daniels, whose real name is Stephanie Clifford, said he paid her the $130,000 shortly before the November 2016 election to keep quiet about a 2006 sexual encounter with Trump. Cohen has clashed in court repeatedly with Daniels and her lawyer, Michael Avenatti. A number of Cohen’s financial dealings since Trump’s January 2017 inauguration have become public. Swiss drugmaker Novartis AG has said it had paid Cohen nearly $1.2 million in a consulting deal; U.S. telecommunications company AT&T Inc said it made payments of $600,000; and South Korea’s Korea Aerospace Industries Ltd said it hired him for $150,000. Cohen also received $500,000 from Columbus Nova LLC, a New York company linked to Russian businessman Viktor Vekselberg. The firm has said the transaction had nothing to do with Vekselberg.